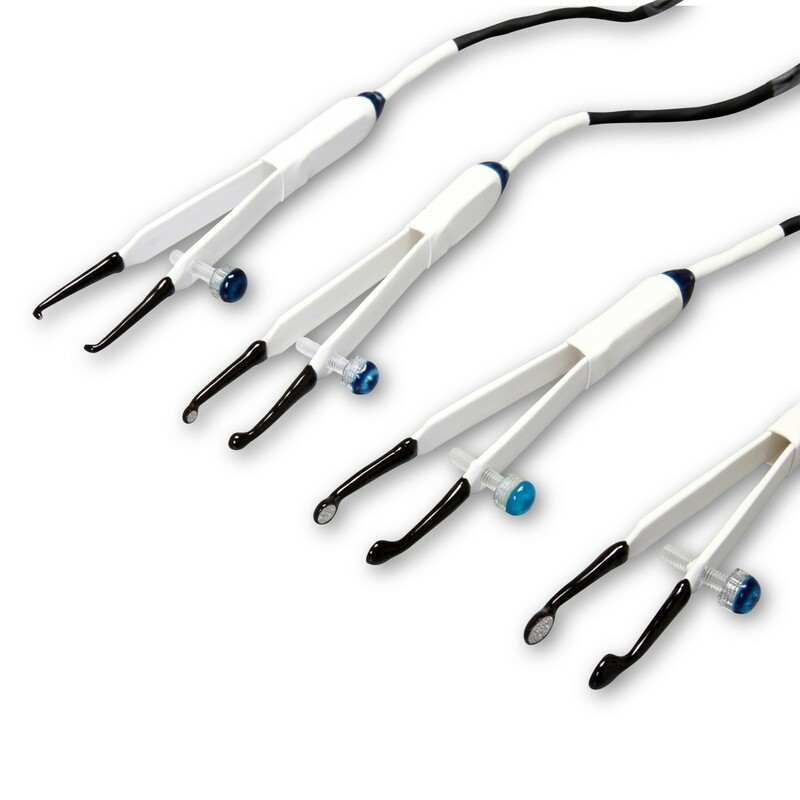 Tweezertrodes electrodes are reusable non-invasive, tweezer-style electrodes for drug or gene delivery in animal tissues.Tweezertrodes may be used for many in vivo applications, including in utero and ex-vivo gene transfection, eletroporation therapy, and transdermal drug delivery. Tweezertrodes consist of a standard 11.5 cm tweezer that has been modified with stainless steel circular or disk electrodes at the tip. The gap between the electrodes disks may be adjusted from under 1 mm to over 2 cm. 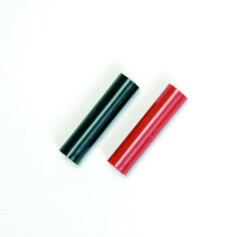 Tweezertrodes are available in various sizes and two different metal alloys either platinum or stainless steel. Platinum Tweezertrodes are available in 7 mm, 5 mm, 3 mm and 1 mm diameters and stainless steel are available as either 10 mm or 7 mm diameters. 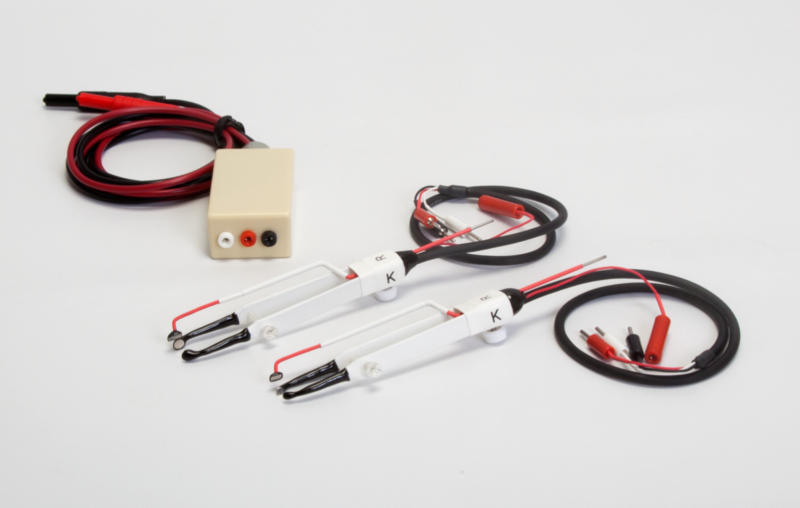 Triple Tweezertrodes have three electrode contacts with adjustable position and polarities. 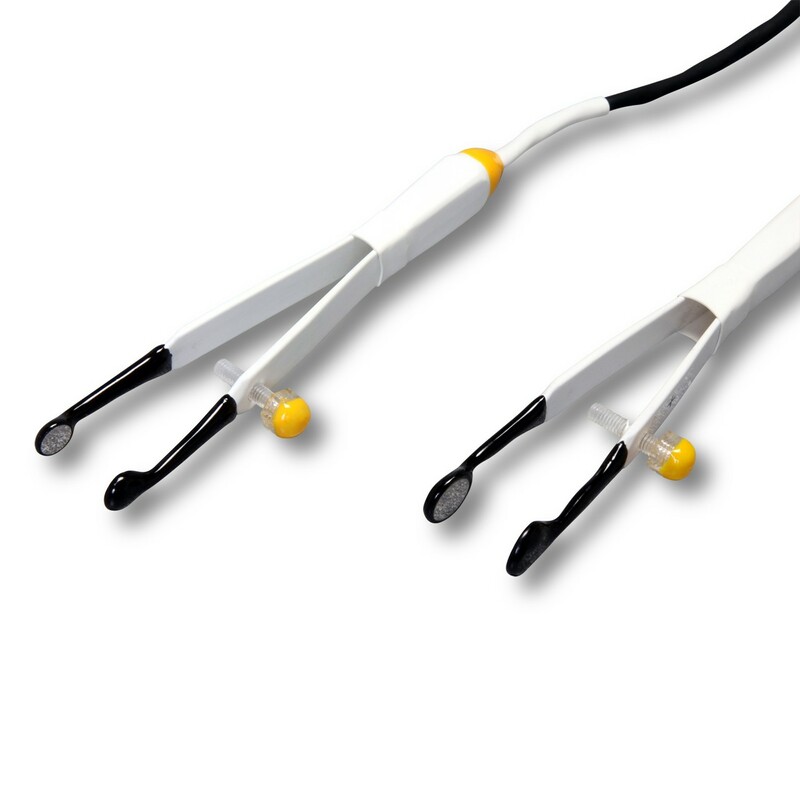 This type of triple electrode been shown to improve the efficiency of electrical field distribution for in utero electroporation applications. 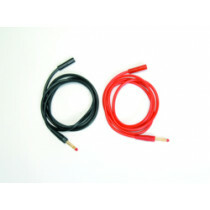 These electrodes connect to BTX generators using the Tweezertrode Connection cables (45-0204), and are compatible with the ECM 830, ECM 2001+, Gemini X2, and Legacy ECM 2001 generators. The Anode (+, red cable) of the Tweezertrode electrode corresponds to the side of the Tweezertrode with the blue adjusting screw on it. 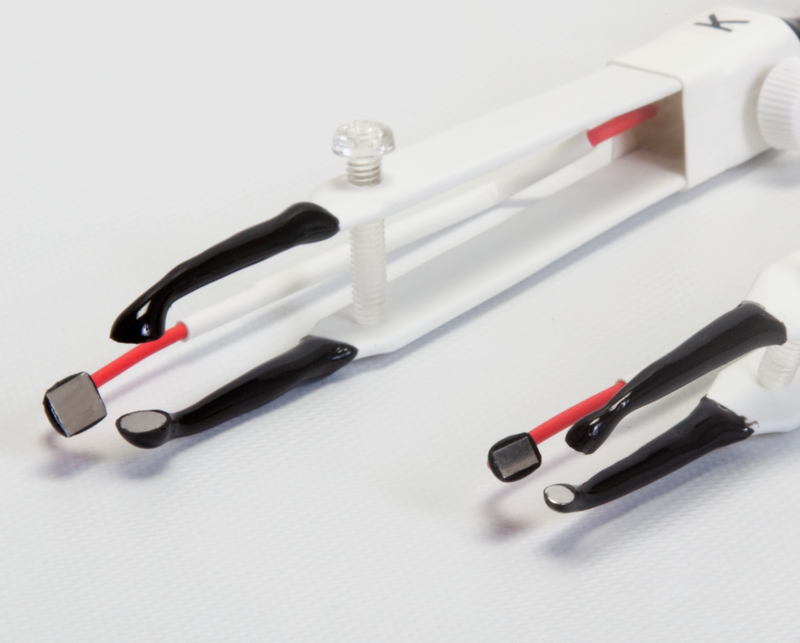 Tweezertrodes may be cleaned with a mild detergent and sterilized with 70% ethanol or ethylene oxide. 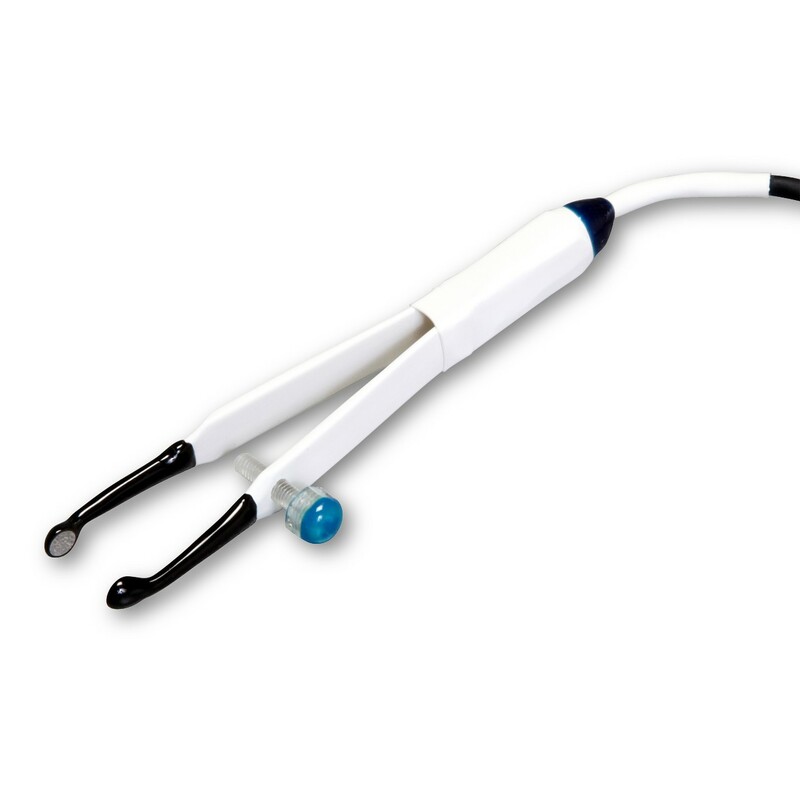 Following localized or systemic injection of the molecule of interest, the Tweezertrode electrode disks are used to grasp the tissue of interest. 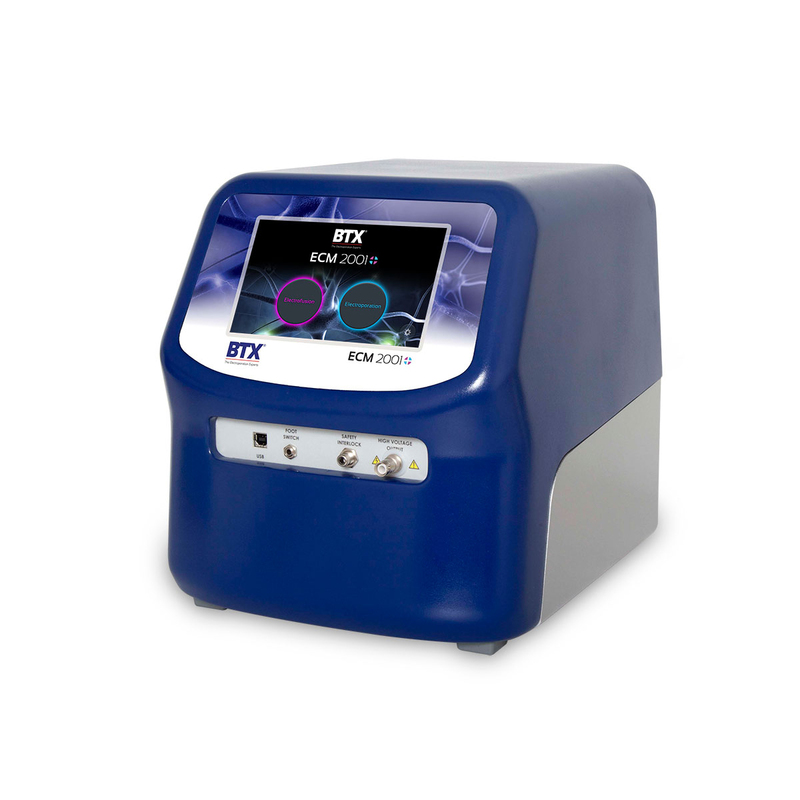 An electroporation pulse is then applied; initiating pore formation and incorporation of the molecule into the cells of the tissue in direct contact with the electrode disk. study gene function in whole organism. 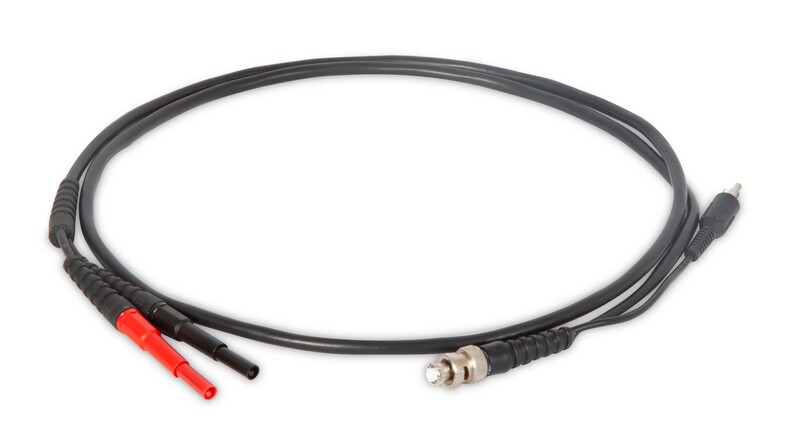 In this example, the Gemini X2 generator is connected using the sequence of cables and adapters illustrated below, then connected to the Tweezertrodes Electrode. 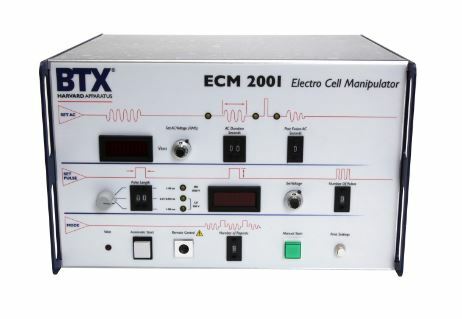 In this example, the ECM 2001+ generator is connected using the sequence of cables and adapters illustrated below, then connected to the Tweezertrodes electrode. 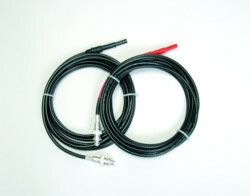 In this example, the Legacy ECM 2001 generator is connected using the sequence of cables and adapters illustrated below, then connected to the Tweezertrodes Electrode. 2. Antonio and Mallamaci et al., Promotion of embryonic cortico-cerebral neurogenesis by miR-124. Nerual Development 2009-4:40. 3. Alexander T. Chesler et al. Selective Gene Expression by Postnatal Electroporation during Olfactory Intraneruon neruogenesis. PloS ONE 3(1): e1517. doi: 10.1371/Journal. Pone 0001517, 2008. 4. N. Nadhusudhana Rao et al. 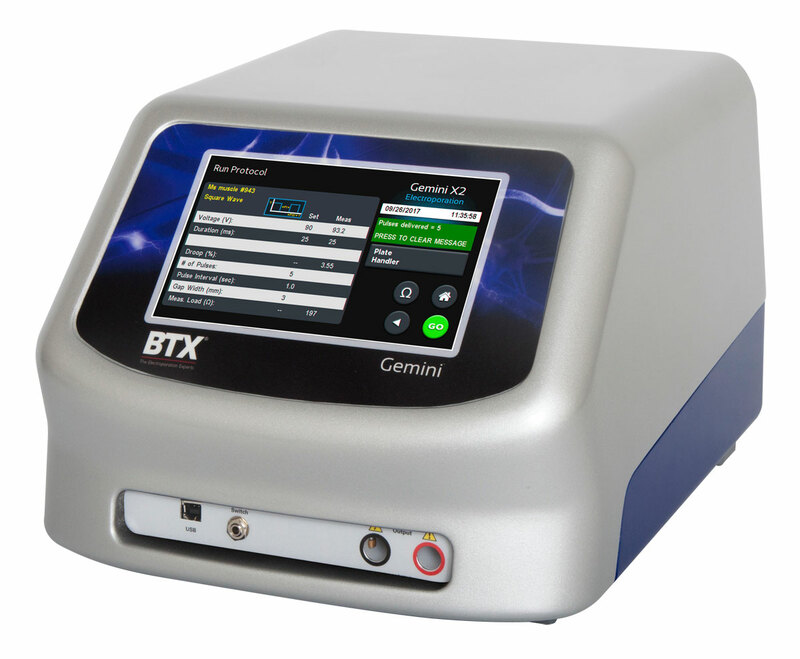 Electroporation of Adult Zebrafish, S.Li (ed) Electroporation Protocols preclinical and Clinical Gene Medicine. In Methods in Molecular Biology, Vol. 423 Humana Press 2008. 5. Dhup S. Majumdar et al. Transgenesis via permanent integration of genes in repopulating spermatogonial cells in vivo. Nature Methods 2008. 7. Sato et al. Molecular Reproduction and Development, 61: 49-56 (2002). 8. Saito and Nakatsuji, Developmental Biology, 240: 237-246 (2001).